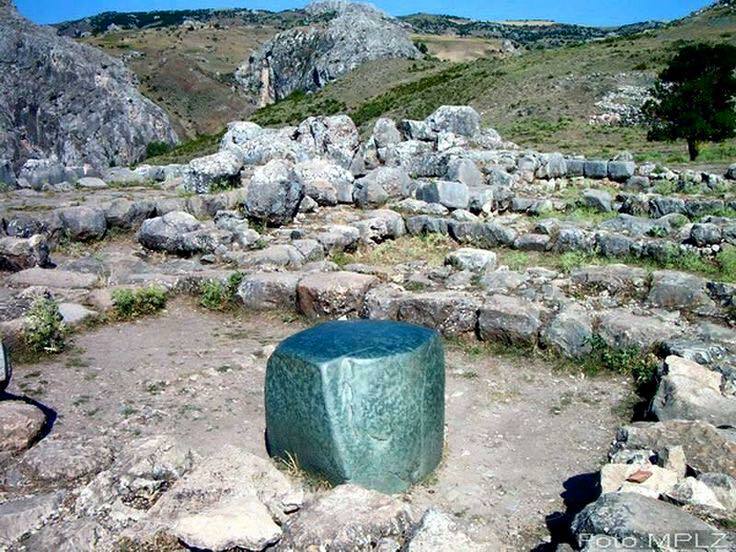 More than 232 letters of state correspondence have been found at Hattusa. One is a letter from the ruler of Išuwa to the "Chief of the Charioteers." Hattusa's administrative center had many scribes who were schooled in Akkadian (the script of Nimrod's kingdom). The Old Hittite period reflects the Akkadian tradition associated with Sargon. Sar-gon is formed from two African words sar and gon and both refer to a ruler. Sar-gon is an emphatic reduplication, meaning "most high king" or "king of kings." The word sarki refers to red ocher and to priests. Hittite Empire (c. 2000–1200 BC). Many of the priests of the ancient world, including the priests of ancient Hatti, were devotees of Horus. The shrine centers of the greater region reflect this: Horoztepe (Horus Hill); Kültepe (Ash Hill, place of sacrifice) and Išuwa (Yeshua?). This green stone, believed to be a gift from the Egyptian king with whom the Hatti signed a treaty in BC 1258, was at the center of a Horite shrine. Among the ancient Nilotes green malachite symbolised the hope of resurrection. The land of the blessed dead was described as the "field of malachite." Green stones were associated with Horus, whose animal totem was the falcon. The Book of the Dead speaks of how the deceased will become a falcon "whose wings are of green stone" (chapter 77). The Eye of Horus amulet was made of green stone. Nilotic craftsmen moved into the Tigris-Euphrates region and into Anatolia. They were called the Nes and their animal totem was the serpent. The word Nes is associated with the rulers of the Nile. 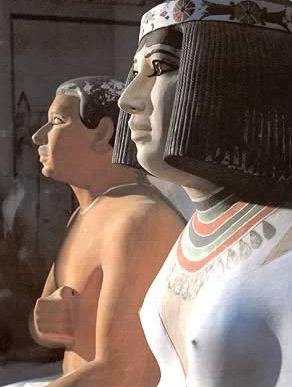 In ancient Egypt Nesu biti referred to the ruler of a united Upper and Lower Nile. It is thought that the Hittites introduced iron work to Anatolia, but the term "Hittite" is an anachronism. They called themselves Nes and their language was called Nesli (Nesian or Neša). The word Nuzi is derived from the words Nes and Nuz. Nuzi was a Horite administrative center on the Tigris. 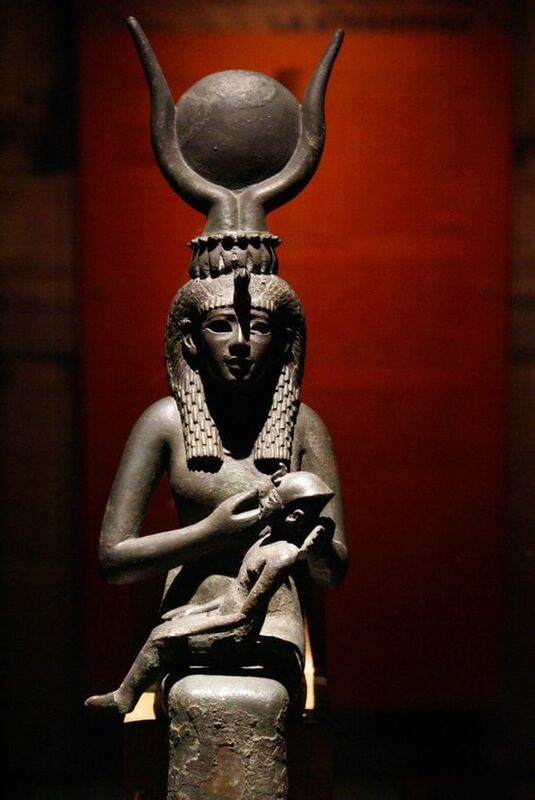 The Horites were devotees of Horus and his mother Hathor, the patroness of metal workers. Documents from the household of a Nuzi official named Tehiptilla record grants of food, clothing, and shelter to a number of Habiru/Hebrew in his service. One who likely served in a military role received a horse. The Afro-Asiatic Habiru were already well dispersed before the time of Abraham. Among them were castes of metal workers whose ancestral lines intermarried from time immemorial. The NS mark represents the metal working tradition. Nahash means serpent. As an adjective it means shining bright, like burnished copper. The clans of HeT were Bronze Age smiths who ranged from Timna in the wilderness of Paran to Anatolia. The serpent image was sacred among them, just as it was for Moses and the people of Israel in the wilderness. Abraham interacted with the Hittite clans of Het who are listed in Genesis 10. HT is the Hebrew and Arabic root for copper - nahas-het. The mountains near the Hittite center of Isuwa had rich deposits of copper which were mined in antiquity. The Hittite also were known for silver work. The Ugaritic word for silver - ḥtt - appears in the name of the people and Hittite place names. Hittites scribes often used the word sign for silver in their names: Ḥatti and Ḥattuša are examples. 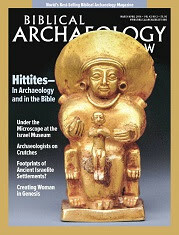 The religion of the Hittites, like that of Abraham's Nilotic cattle-herding ancestors, was henotheistic. They believed in a supreme Creator who was served by lesser "gods" or assisting divine powers. The deification of righteous rulers followed logically from the idea that divinely appointed powers on earth were also lesser gods (Allohiin Arabic and Hausa, Elohiym in Hebrew). The Hittites conceived of the cosmos as God's sacred pyramid or temple. Elevated sites were the preferred locations for their shrines and temples. These "high places" were fortified. Some names reflect the Horite presence among the Hittites. Such is the case of the Horite shrine on Mt. Silpius overlooking the Orontes (Draco) in Turkey. This ancient site was called Meroe. This is the symbolism of the dung beetle (sand scarab), which comes out of the sand when the Sun rises and returns to the sand as night approaches. The daily cycle follows the pattern of the Sun's journey and life after death. The female beetle lays her eggs in the sand and when the eggs hatch, she gives her body to be eaten by her newborn young (cf. Jesus' words, "This is my Body given for you..."). The Sun and the scarab spoke to the ancient Horites of their deity, HR (Horus). He was regarded, with his father Ra, as the fixer of boundaries. Horos refers to the boundaries of an area, or a landmark, or a term. From horos come the English words hour, horizon and horoscope. The Indo-European root for year is yeHr-, yet another reference to Horus. The association of Horus with the horizon is seen in the word Har-ma-khet, meaning Horus of the Horizon. Today the word horoscope connotes astrology, but the word originally meant "observer/watcher of the hours/times." The Hittites appear to have shared the binary worldview that is found in the Bible. A binary set refers to a universally observed pattern in nature where two entities are naturally linked and complementary. One of the entities in the set is recognized as greater in some observable way than its complement. Biblical theology hinges on this binary view of reality. The binary view is expressed in the biblical assertions that God is greater than man, and life is greater than death. Male-female and sun-moon are binary sets in the Bible. The sun represented the male principle and the moon represented the female principle. The sun was the symbol of the Creator who ruled the heavens and the solar arc represented the Creator's daily journey. The sun and moon represent a binary set, and in their binary worldview preference for the sun was not an arbitrary preference, but rather, it was based on astronomical observation. The sun is to the moon what the male is to the female, superior in size and strength. This is characteristic of the binary worldview of the Horite Habiru, a worldview that is quite distinct from the dualistic worldview that comes to dominate the region after the Axial Age. In the binary worldview one entity in the binary set is observed to be superior in some way to its opposite. This is expressed in Genesis 1:16: "God made the two great lights: the greater to rule the day, the lesser light to rule the night." In a dualistic worldview the entities in the binary set are regarded as equal (ying-yang). The Sun was associated with masculine virtues because solar rays were believed to inseminate the earth over which the sun has dominion. The moon, as the sun's celestial companion, was associated with feminine virtues. Egyptian queens painted themselves white before they appeared in public, whereas their husbands sought skin darkened by the Sun (see image above). Doubtless, the ancients had observed the moon's influence on the woman's monthly cycle. This is reflected in living languages. In French, for example, “le moment de la lune”refers to menstruation. Solar images abound in Hittite culture. These are usually works of metal found in the royal tombs or on the standards of rulers. One example is the long horns of bulls and deer, such as appear on this bronze standard found at Horoztepe (shown right). The horns of the bull were a solar cradle that indicated divine appointment by overshadowing. Images of Hathor, the mother of Horus, show her overshadowed by the Sun resting in the long horns of a bull. Divine appointment of the ruler was indicated by the solar cradle Y at the beginning of the ruler's name: Yishmael, Yitzak, Yacob, Yeshua, etc. and by the ili/itti suffix in the Akkadian and Nilotic languages. The divine son was a ruler-priest associated with the heavens and thunder. He was regarded as the High God and was known throughout the ancient world by different names; Horus, Hromi Daba, Hesus, Grom Div, Crom Dubh. Dabog, Dagda, and Perun. This is the only European bull deity that is celebrated in the middle of the Leo sign and he is often referred to as "the Giving God." The Giving God, sometimes called Hesus, was crucified on an oak tree. The hope of his third-day resurrection was enacted by the sowing of grain in the fields. In antiquity, this annual ritual was overseen by Horite Hebrew priests who led the people in procession to the fields. The Nilotic peoples and their dispersed descendants living in Anatolia viewed the high king as the Creator's earthly representative. This is clearly evident with King Hattusili I who claimed that he was divinely appointed and that the prosperity of his people depended on his intercessions on their behalf. He moved his administrative center from Neša (near modern Kültepe) to Ḫattuša. The Bible teaches divine appointment: Noah, Abraham, Moses, Samuel, David, Gideon, Joshua, the Virgin Mary, the Apostles, St. Paul, etc. This is explicit in Acts 9:15, where the Lord tells Ananias to minister to Saul, soon to be Paul. "But the Lord said to Ananias, 'Go! This man is my chosen instrument to proclaim my name to the Gentiles and their kings and to the people of Israel.'" 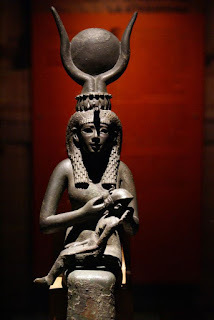 Is it possible that the name Hazor, derived from the Goddes Hathor-Meri? 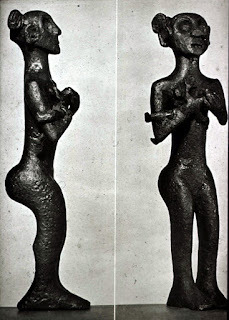 The Amulet of Hathor-Meri found at Hazor, is similar to the two photos, you gave in this article. Hazor (H'- zr) likely refers to a city of refuge, a shrine city where people sought help and/or forgiveness. Horite Hebrew/Habiru priests were there and they were devotees of Ra-Horus-Hathor. This sheds light on the nature of the conflict between the Hebrew warriors under Joshua who attacked Hazor. It appears it may have been a conflict between Habiru and Habiru over control of the fortified shrine city.